The Colorado whiskey we’ve enjoyed for years and now BourbonBlog.com interviews Stranahan’s Colorado Whiskey of Denver, Colorado during the Breckenridge Craft Spirits Festival. It is a single malt whiskey (100% malted barley) aged in brand new charred American white oak barrels. We get a distinct Charleston Chew flavor on it and notes which are between a Bourbon and a Scotch. It is rare that you can bottle up the Rockies, or cup your hands in a mountain stream with Colorado’s natural ingredients. 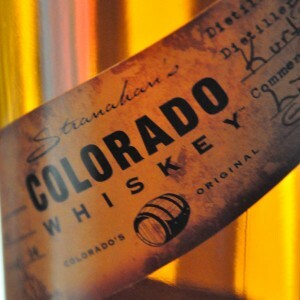 Stranahan’s Colorado Whiskey is 47% Alc/Vol (94 proof).